When it comes to digital cameras, most of us would think of the usual suspects, them established names such as Canon, Nikon, Olympus, Fujifilm, Sony, and perhaps even Samsung, but how many of you would figure out just where Minox would fit into the picture? 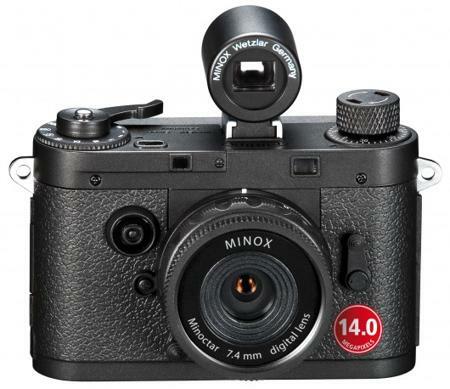 Minox has come up with their latest model, the Minox DCC 14.0 digital classic camera that seemed to have gone through a shrink ray of sorts. This particularly small camera has been created to a scale of 1:3, allowing it to fit in the palm of your hand. As its name suggests, this bad boy will come with a 14-megapixel sensor, in addition to a fixed lens and an optical viewfinder. When it comes to peripherals for your tablet, you will definitely be able to figure out that Griffin Technology is a name that you should take notice of, considering how they have managed to position themselves to be one of the world’s foremost creators of innovations for everyday life, with the recent announcement of the SeeSaw for iPad, as well as No. 2 Pencil Stylus for touchscreens, where these two gadgets are ideal for use in situations such as classrooms, labs or study groups. Sometimes you just need to take your vino with you. Maybe you are headed for a day at the races or a picnic in the park. Schlepping a bottle around sure is not convenient. There’s the need to keep it from breaking and you have to find a bottle opener. Hassle for sure! Sure, there’s the box-o-wine solution but is there actually GOOD tasting wine in a box? For as many cool gadgets there are in the world there are plenty of gadget failures. We all probably invested in Betamax, Laserdisc or some other technology that didn’t take off. Sounded like a great idea at the time, right? The famous UK TV program The Gadget Show recently polled 1000 viewers to determine the biggest gadget disaster of all time. Some were good technology, but were executed poorly and competitors pounced. Some were ridiculous technology that customers never adopted. But they all have one thing in common – they failed. Bluetooth enabled speakers are dime a dozen, and these seem to proliferate just about anywhere and every accessory shop that you go to. Having said that, it would also mean it is more challenging to select the right kind of Bluetooth enabled speakers, considering the vast choice that there is available to the average consumer. This calls for a more discerning eye, and with the Satechi BT Touch Speaker, you know that your ears will be treated to quality sounds without having to break the bank. Ever heard of Click & Grow before? Neither have we, but apparently Click & Grow is a designer of indoor smart gardens, and their latest creation would be the Smart Herb Garden that has been unveiled on popular crowd funding website Kickstarter. 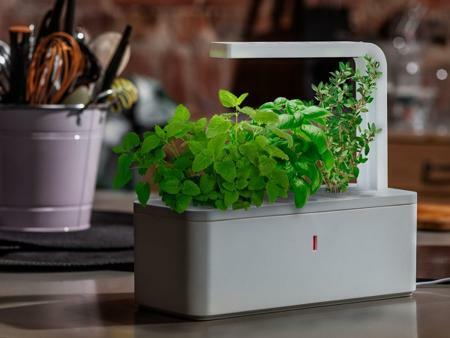 The Smart Herb Garden is no ordinary garden, but rather, it is a high-tech, self-watering plant system which is capable of growing multiple herbs simultaneously. Right now, Click & Grow has looked towards the Kickstarter community to obtain support from technology enthusiasts, travel fanatics, those who have been looking for a green thumb all this while but did not find it, in order to gain enough funds so that it can roll off the production line in due time. 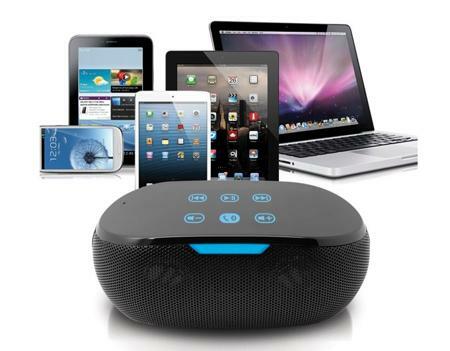 Digital Treasures should be a name that is no stranger to some of us, and they themselves have managed to add another option to the wireless world of audio with their latest release, the Lyrix Duo, which is essentially a 2-in-1 Bluetooth speaker that boasts of a removable receiver. Hmmm, this is something very different from the usual Bluetooth speaker actually, as the Lyrix Duo allows you to chill out or rock out to your favorite tunes regardless of where you are, at any time, too. I suppose you can call this as a new way to fall in love with your music all over again.